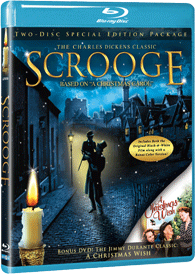 This classic film is the original and considered the best adaptation of A Christmas Carol ever made. Sir Seymour Hicks gives a riveting performance as Ebenezer Scrooge in Charles Dickens’s timeless classic, Scrooge. Scrooge is a mean old miser who wants nothing to do with Christmas, bitterly rejecting the company and well wishes of his fellow man. But on this Christmas Eve, Scrooge’s former partner, Jacob Marley, an invisible but forceful ghostly presence, visits Scrooge to warn him that his time is running short. Throughout the long, cold night, the Ghosts of Christmases Past, Present and Future appear to Scrooge, taking him on a journey into the very spirit and magic of Christmas itself. Legend Films is proud to bring you this wonderful story of hope and redemption on high-definition Blu-rayTM Disc. 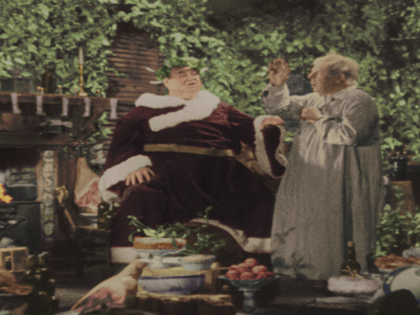 Also included in this Special Edition Package is a bonus DVD of one of the season’s classic films: A Christmas Wish. Starring legendary crooner Jimmy Durante, the beautiful Terry Moore and loveable Rupert the Squirrel, this heartwarming family film follows the life of one family who was down on their luck at Christmas-time. Just when it seems that Christmas will come and go without so much as a Christmas tree, Rupert acts as the family’s guardian angel -- not only saving Christmas, but changing their lives forever!